Join us to learn the ways faith groups are taking action and doing important work to combat domestic violence and support survivors. Time: Registration begins at 10:30 AM, panel will begin at 11 AM. Location: JWI Offices, 1129 20th Street NW Suite 801, Washington, D.C.
Salma Elkadi Abugideiri is a founding board member of the Peaceful Families Project, an organization dedicated to educating Muslim community leaders and members about domestic violence. Salma provides educational workshops and develops resources related to mental health issues and domestic violence among Muslims, as well as workshops on healthy relationships. 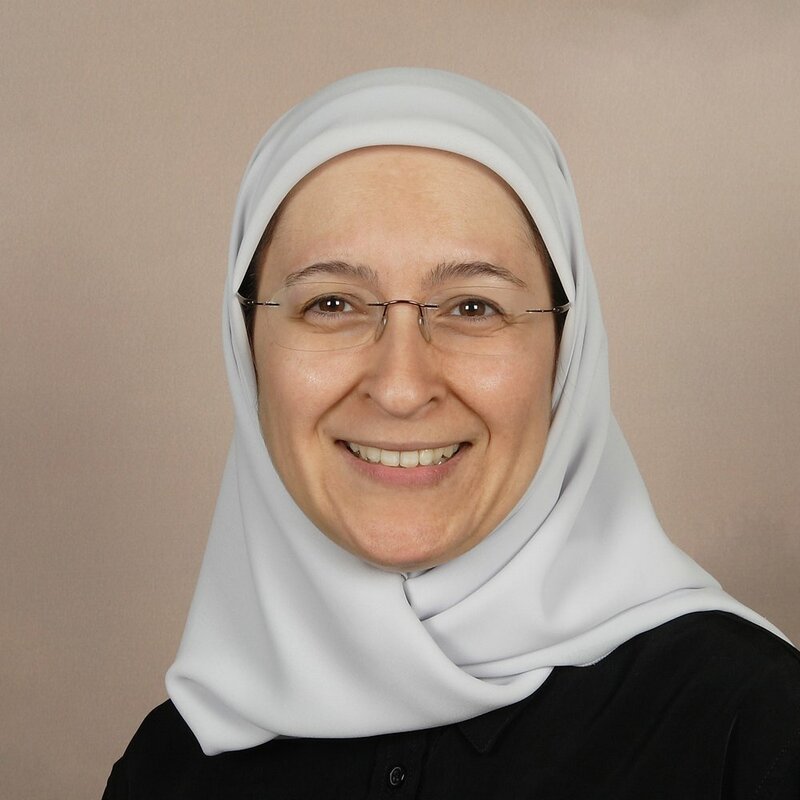 She is a contributing author to several books including Counseling Muslims: Handbook of Mental Health Issues & Interventions, and Change from Within: Diverse Perspectives on Domestic Violence in Muslim Communities. She has co-authored a brief guide for helping professionals entitled What Islam Says About Domestic Violence. She has also co-authored Before You Tie the Knot: A Guide for Couples. Salma is a licensed professional counselor in private practice in northern Virginia. She provides individual and family therapy for a wide range of mental health and relationship issues. Her passion is integrating faith and spirituality into treatment and prevention programs. Jenna Barnett leads the Women and Girls Campaign at Sojourners, a Christian media and advocacy organization that encourages people to put their faith in action for social justice. The Women and Girls Campaign works to combat domestic and sexual violence in the church and through the church by resourcing and inspiring pastors to make their sanctuaries safer spaces for survivors and victims. Before Jenna joined the Sojourners team, she worked for the International Rescue Committee, and was a Peace Writer for the Joan B. Kroc Institute for Peace and Justice's Women Peacemakers Program. Tova Zimm is the Victim Advocacy Coordinator for the Jewish Coalition Against Domestic Abuse (JCADA). Tova graduated from Indiana University in the Spring of 2017 with a B.A. in Jewish Studies, American History, and Hebrew. Two summers ago, she had a life changing internship for JCADA's AWARE® program and never left! She returned the following summer as an Outreach Intern, joined the JCADA team as JCADA's first Victim Advocate and is now expanding the advocacy program as Victim Advocacy Coordinator. Moderator: Negar Abay is a representative with the Office of Public Affairs of the Baha’is of the United States. Negar coordinates collaboration with thought leaders, organizations and government agencies engaged in public discourse and policy work to advance gender equality and economic justice. Her work draws insights from science and religion to build unity of thought and action among diverse actors seeking social transformation and justice. Prior to joining the Baha’i Office of Public Affairs in 2015, Negar was a Fulbright grantee in Ethiopia. She has worked with the Brookings Institution’s Center for Universal Education and the Tahirih Justice Center among other organizations. She holds a PhD in International Education Policy from the University of Maryland focused on gender equality. Please RSVP below to be notified of updates or changes. Or, if you’re not in the Washington, D.C. area, sign up to join us via Facebook Live. We will notify you prior to streaming.